The 2018 Unlimited National Banger World Final is fast approaching and we are pleased to announce that advanced tickets are on sale NOW! It is strongly recommended that if you are planning to attend that you order your tickets in advanced to secure your entry into the stadium for the event not only to take advantage of the discount prices but to avoid missing out if the stadium reaches capacity and the turnstile doors have to be closed! Option 1:- You can order your tickets online and choose to have them either sent to you in the post via Royal Mail Recorded Delivery or collect them from the stadium on the day of the event. Please use the link below to be re-directed to the online shop. 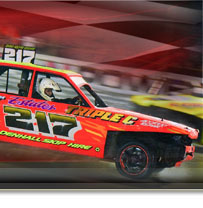 Option 2:- Tickets can be purchased by calling us on 01252 322920 and providing your details over the phone. Office hours are Monday – Friday, 9am to 5pm. Please note there is an administration fee of £2.00. Advanced Tickets are available until Wednesday 3rd October 2018 at 5pm (subject to availability). Order your tickets now so you don’t miss out! 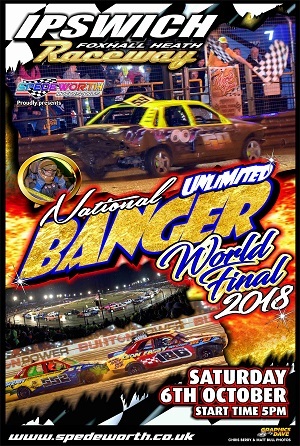 We look forward to seeing all drivers, spectators and staff at the 2018 Unlimited National Banger World Final!